The Callaway Great Big Bertha Epic Sub Zero driver represents a true paradigm shift towards a low-spinning driver that is also forgiving. The high-speed/low-spin combination that many tour players seek come from Callaway’s innovative Jailbreak Technology, which positions two ultra-light titanium bars behind the face to promote faster ball speeds over the entire club face. It’s forgiveness is thanks to a multi-material construction that combines a titanium Exo-Cage with triaxial carbon crown and sole panels for a lightweight club head that accounts for 50% of the head’s surface. 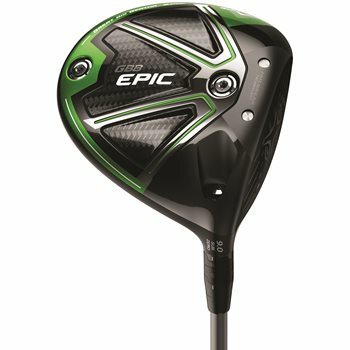 The Epic Sub Zero’s unique club head design places the CG low and deep in the club head to promote high launch and low spin.